2. Sperling, R. A. et al. Toward defining the preclinical stages of Alzheimer's disease: recommendations from the National Institute on Aging-Alzheimer's Association workgroups on diagnostic guidelines for Alzheimer's disease. 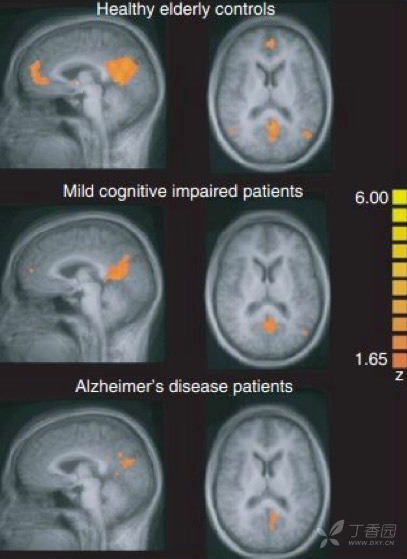 Alzheimer's & dementia : the journal of the Alzheimer's Association 7, 280-292, doi:10.1016/j.jalz.2011.03.003 (2011). 3. Kehoe, E. G., McNulty, J. P., Mullins, P. G. & Bokde, A. L. Advances in MRI biomarkers for the diagnosis of Alzheimer's disease. Biomarkers in medicine 8, 1151-1169, doi:10.2217/bmm.14.42 (2014). 4. Dubois, B. et al. Advancing research diagnostic criteria for Alzheimer's disease: the IWG-2 criteria. Lancet neurology 13, 614-629, doi:10.1016/S1474-4422(14)70090-0 (2014). 5. Scheltens, P. et al. Alzheimer's disease. Lancet, doi:10.1016/S0140-6736(15)01124-1 (2016). 6. Villemagne, V. L. & Chetelat, G. Neuroimaging biomarkers in Alzheimer's disease and other dementias. 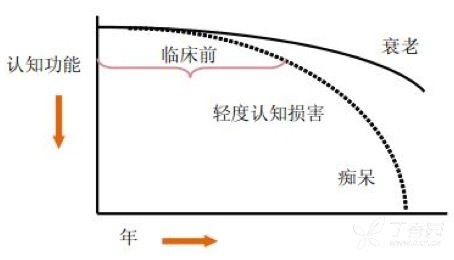 Ageing Res Rev, doi:10.1016/j.arr.2016.01.004 (2016). 7. Nasrallah, I. M. & Wolk, D. A. Multimodality imaging of Alzheimer disease and other neurodegenerative dementias. J Nucl Med 55, 2003-2011, doi:10.2967/jnumed.114.141416 (2014). 8. Bai, F. et al. 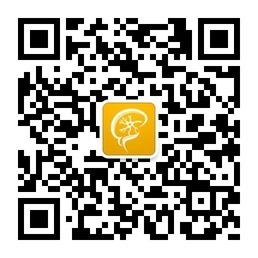 Abnormal white matter independent of hippocampal atrophy in amnestic type mild cognitive impairment. Neurosci Lett 462, 147-151, doi:10.1016/j.neulet.2009.07.009 (2009). 9. Su, L. et al. 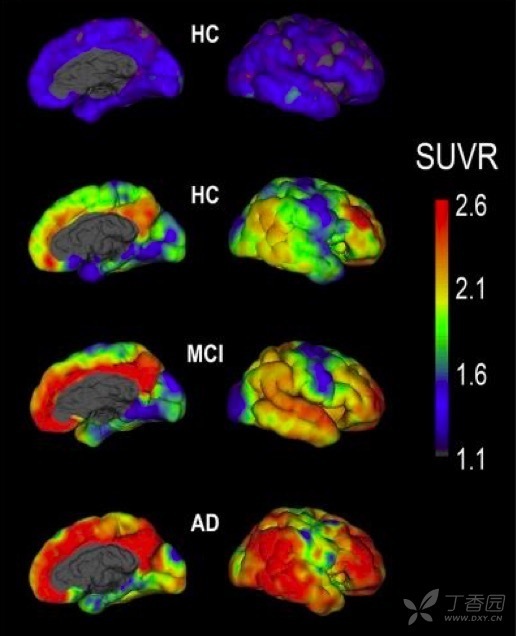 Cortical and Subcortical Changes in Alzheimer's Disease: A Longitudinal and Quantitative MRI Study. Curr Alzheimer Res 13, 534-544 (2016). 10. Villemagne, V. L., Fodero-Tavoletti, M. T., Masters, C. L. & Rowe, C. C. Tau imaging: early progress and future directions. Lancet neurology 14, 114-124, doi:10.1016/S1474-4422(14)70252-2 (2015). 11. 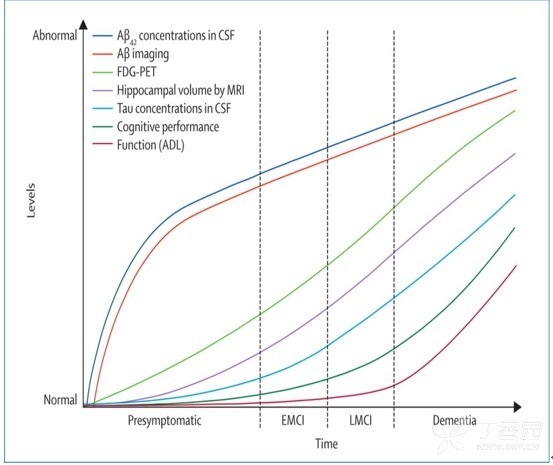 Petersen, R. C. Alzheimer's disease: progress in prediction. Lancet neurology 9, 4-5, doi:10.1016/S1474-4422(09)70330-8 (2010).